My addiction to this hill began about four years ago. During my debut as a wine importer, I spent six months chatting it up with various people in the business about producers that could be interesting for me before I pulled the trigger on my maiden voyage in search of the holy grail. Amongst my group of “sources”, was a friend back in Virginia who also runs an import company. Although he was only 26 when I met him, this guy had developed a remarkable and enviable palate for wine. He told me that he drank many great wines throughout his life because his father was a serious wine collector. It must have been nice… My first taste of wine was not one of privilege. I grew up in a small town in Montana, called Kalispell. Most people thought I said “cow’s bell”, or “cattle smell”, when they asked what the name of the town was. I suppose both names could make sense after meeting a hick like me. Because Montana wasn’t exactly a mecca for wine lovers, my first contact with wine was an unforgettable bottle of Manaschewitz. It was one of the worst things I can remember putting in my mouth as a kid, and believe me, I put a lot of disgusting things in my mouth back then. After I snuck a taste, I couldn’t understand why my parents would drink this thing that seems like it should have been poured over our salad. Given my first encounter with “wine”, it’s a miracle that I ever drank another glass of the stuff. I must admit, however, that I’ve never had another sip of Manaschewitz. Maybe I should give it another go, just to be fair; after all, it was probably open for at least two months, and I think I was about eight years old at the time. Anyway, my buddy back east told me about a few producers; one in particular caught my attention. 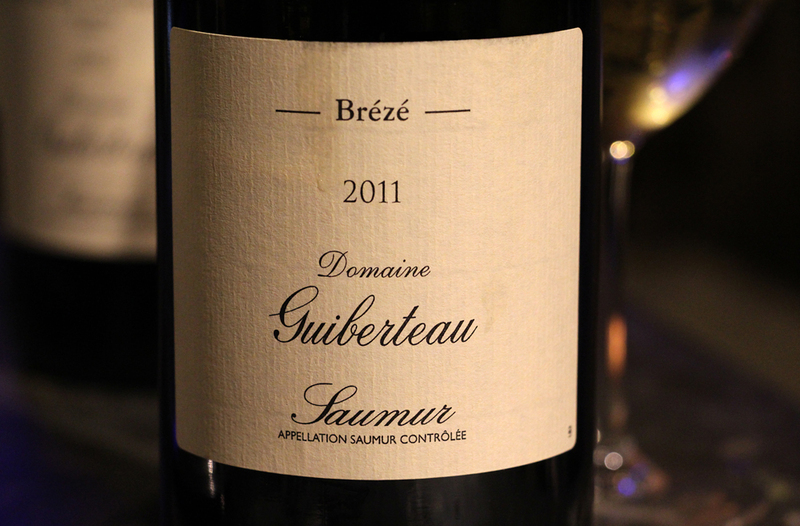 He said that they were somewhat of a newcomer to Saumur, which is an area that specializes in two grapes: Chenin Blanc and Cabernet Franc. He seemed pretty surprised that no major importer had picked them up yet in the States. It was a good lead, so I put an email together and sent it off to Domaine de St. Just, fingers crossed. You’d be surprised at how fast people sometimes respond to this sort of inquiry; most of the time, if you ask to buy their wines on the spot, they put it together and send it to you without much ado. Of course, you have to pay in advance, but that’s about it. At any rate, the owner of the domaine, Arnaud Lambert, wrote back immediately and invited me to visit the estate. I asked if it was fine with him to send samples to my friend’s house, in Provence, as I wasn’t planning on going to the Loire on this trip (even if the wines from this place were top notch). This was the only producer in this region that I had the beat on, and it was pretty far out of my way. Believe me, a thousand kilometers out of the way is a long distance to go only to find disappointment. By the end of 2010, I set off for France with proper financing to start importing wines to California. My first stop, whenever I travel to France, is at Pierre and Sonya’s house in Provence, called La Fabrique. Before I arrived, I made sure that it wasn’t a problem for them to receive samples sent for me –little did they know how much was on the way. Before my arrival, they sent me a message saying that, over the last couple of weeks, they had amassed about 11 boxes of wine. Admittedly, I also was a little surprised by how much wine showed up. I was going to be there for only two nights, so I proposed that La Fabrique throw a party. They thought I was insane when I told them that I was going to open all the bottles at the party because they only had gathered 15 people for it. It was a lot of wine, but in the end, only about a dozen bottles were worth drinking and most of them had been made by the hand of the same vigneron. The truth is, most of what we importers taste is pure junk; the good wines ones are only good, and the great ones are rare. A couple of hours before the party started, I began pulling corks to taste them all before everyone arrived. There were many that weren’t even fit for an outfit like Cost Plus. Then, I put my nose in the first white wine from St. Just, and I knew, straight away, that if the rest followed suit, I would have to reconsider making the journey to Saumur. I slowly worked through the entire range of his wines, looking for reasons not to go, but from top to bottom, they were all seamless. My friend was dead on and I was sure that I had found my first producer. I’ve been a fan of this area of France forever and these were some of the best wines I’ve tasted from there, period. The Chenins were clean, expressive and straightforward –and they weren’t too Chenin-y, if you know what I mean. Their Cabernet Franc wines from Saumur-Champigny were perfectly on par with what I wanted out of this grape: pure, clean, terroir-driven with charming bright red fruits. Honestly, I was more excited about the reds than the whites because I feel that, not only is Cabernet Franc from the Loire Valley one of the most authentic terroir wines in all of France, but it is also, in commercial terms, a little easier to sell than Chenin Blanc. The problem I have with this area, however, is that a lot of the highly revered producers make wines that can be a little funky, and that’s not the type of horse that I want to get behind. Arnaud sent another box of samples from a different estate, which was also from Saumur. He put a note in the box telling me that he just started to work with this estate and that he’d like me to consider them as well, but because I was already sold on Arnaud’s wine, they sat in the box until the end of the tasting. In addtion, some of their labels were lousy and only served to further my lack of interest. Without expecting much, I arranged these other wines for a quick tasting. I didn’t expect to care much about them after I tasted the little gems from Domaine de St. Just –boy, was I in for a real shocker. I pulled the cork on the first white, and took a sniff that was loaded with minerals and high-strung citrus fruits. I had no idea of what was about to hit my mouth. When my brother Jon and I were kids, we dismantled a power cord and decided that it could be fun to stick the metal prongs into a wall outlet, with our bare hands. We weren’t the smartest kids, and perhaps that moment in my life explains a few glitches in my system. Anyway, this wine brought me back to that moment as it unleashed some serious liquid wattage into my mouth. This little wine was more than an attack on the palate –it was an assault. I was all puckered up and my head went sideways. It felt like I just brushed my teeth and rinsed my mouth out with a glass of Chablis. After a few more tastes, however, it became clear that there was something magic inside this angry little wine. I’ve always been a sucker for abuse, so this was right up my alley. 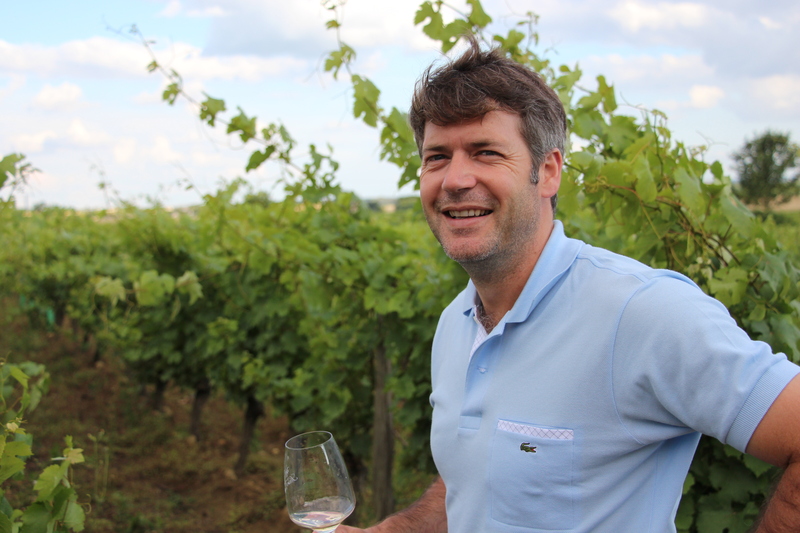 I opened the second Saumur white, Clos David –it was like Meursault on crack. The first wine was all tension; this second wine was also intense, but it was endowed with more body and finesse. It was a more tamed beast, but a beast, nonetheless. Like the first wine, it tweaked my mouth in every direction, but that didn’t stop me from coming back for more. Every sip felt like I was getting smacked in the face by a furious, but sublime, French girl –I loved it! As I continued to taste, I kept thinking: “Are these wines just freaky good, or picked way too early?” I didn’t know because I’d never tasted anything like them before. They were somehow regal and barbaric at the same time; yet, it seemed like they came from a noble terroir. The rest of the wines followed suit with overwhelming tension. The reds had bright red fruit and flowers in aroma with an acidic backbone enviable even for a fine red Burgundy from a classic year. Every one of them was intensely acidic and penetrating, but once you made it through the pain, they were deep and pure. Although it is hard to believe, it’s still possible to find nearly abandoned or chemically destroyed vineyards all over Europe that were once owned by the elite classes of the past. Many of these precious grounds have been passed down generation after generation, only to fall from grace at the hands of a few misguided, or opportunistic, bean counters who put profit at the top of their agenda. They are the ones who manufacture cheap and industrialized imposters that are sold to tourists who think that they are walking away with a wine that, based on historical merit, was once suitable for a king. These wines, in reality, are only paupers dressed in a king’s clothes. There is a quiet hill and chateau with this story of abuse that has now lasted for over a half-century. It could be the greatest forgotten hill of our time; the hill is know as, Brézé. I saw the name “Brézé” for the first time on a bottle of white wine made from a well-respected, but underground, producer best-known for their red wines from Saumur-Champigny, the wine is called Clos Rougeard. I never paid their white wine much attention because it’s a rare bird and it’s not usually hanging out at your local wine shop. I remember having it once before, but it didn’t catch my attention, so I never took the time to taste it again. The truth is, I visited Arnaud, not for the Brézé wines he had sent me, but for his Saumur-Champigny reds and his entry-level whites, which were much less physically taxing than the Brézé wines. The first time I visited Arnaud was January of 2011. He first took me to his vineyards in Saint-Cyr-en-Bourg. Nothing makes me happier than visiting vineyards. He was proud to show me that, unlike his neighbors, his land was full of natural grasses and herbs that grew freely between his vines. Moreover, his soils were thriving because he treated them respectfully and spared them synthetic chemical treatments that kill most of the bad (and good) micro-organisms. As we stood on this limestone hill, called Saint-Cyr, I remembered the energy I felt it in his wines the first time I tasted them. We spoke at length about the appellation and he pointed out that, historically, these vineyards have soils that are more suitable for white wines but had been planted to Cabernet Franc before he and his dad bought them back in 1996. Before their time, red wines were more profitable, so it became an economical choice to make the switch. 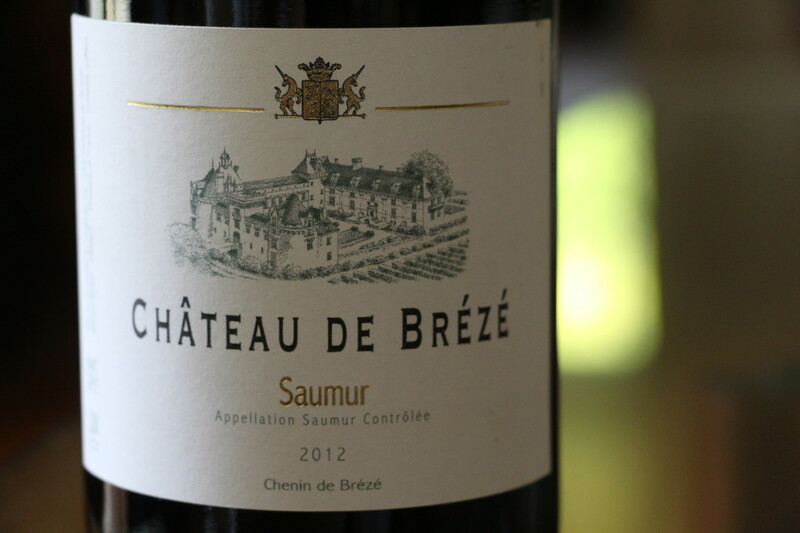 As we finished our tour of Saint-Cyr, he mentioned this “Brézé” wine again as he pointed south and insisted that we go there to look at the vines before we head back to the cellar to taste. We drove to this unsuspecting hill about three kilometers across the way from Saint-Cyr. 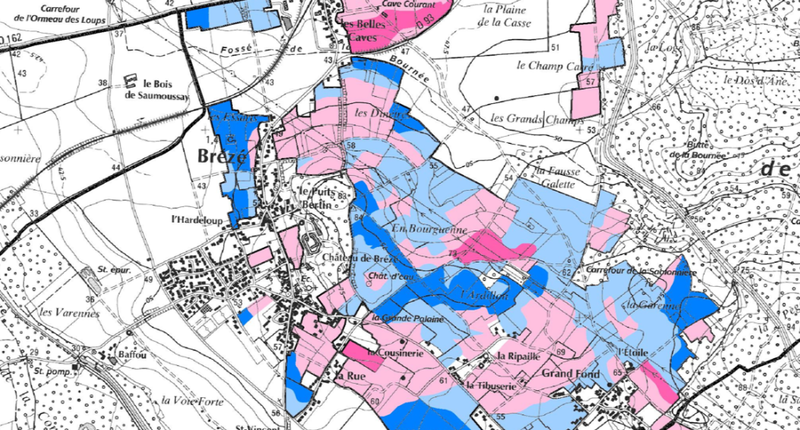 There was only a gently sloping alluvial valley that separated the hills of Saint-Cyr and Brézé, but I can assure you that the taste of their wines gives the impression that they are miles apart. Our first stop was at the Clos David –the Meursault on crack. Arnaud walked me into what appeared to be a clos; it had old broken down walls that I could easily jump over from a stand still. It wasn’t an impressive vineyard to look at. The vines were tired and seemingly unattended. The vineyard seemed to be held together by a thread and it looked like a cemetery of old vines. 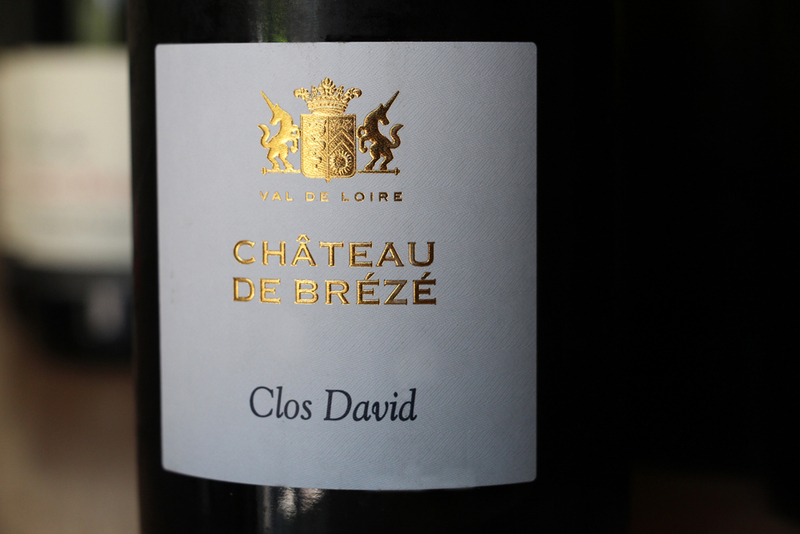 A bottle of the 2010 Clos David (with a nice new label) that I recently drank. After more years in the bottle, the wine is singing loud and clear. Arnaud plunged his hands in Clos David’s soil and pulled a pile of chalky white and brown soil full of small limestone fragments. He put his hands full of soil close to my face for inspection. He gave me a faint smile, and, quite embarrassed, he said: “I brought you here to show you what damage has been done to these vineyard over the last century. Look at this topsoil… it’s dead, completely dead…” He told me that it was going to take years for any noticeable changes to take place in the topsoil. The underlying limestone, which holds the magic of these terroirs, had been penetrated long ago by these abused vines, and that’s what keeps them in the game. He pointed out, however, that through the years of abuse with chemical treatments, most of the development of the root systems had stayed close to the surface and didn’t have the power to dig much further than what they had done half a century ago. We went to another special parcel called Clos de la Rue, where he told me stories about the trading of bottles between Chateau de Brézé and other estates like Chateau d’Yquem, bottle for bottle. Each of these special parcels were, in the past, owned by France’s elite society and they were sent throughout the royal courts of Europe. At the time, they were known as “Chenin de Brézé”, and they were considered to be of the best white wines in all of France. While on the hill, Arnaud emphasized the importance of a concept that I seemed to have overlooked; the uniqueness of old walled vineyards, called “clos.” Over centuries, vineyards change through erosion that result in a loss of soil. With the case of a vineyard surrounded by a wall, however, the historic soil structure remains while the rest of the vineyards around them, through centuries of erosion, can lose a significant amount of their ancient topsoil. That simple concept hit me like a ton of bricks. These enclosed vineyards are a geological and historical time capsule. They preserve the impression the wines had when they were regarded centuries ago as an important site. I was dumbfounded and saddened by Arnaud’s story of Brézé. I could sense his animosity towards the more recent owners of this once great land. After the Second World War, they destroyed the life of their once magnificent terroirs. As we stood in the vineyard, my mind went back to the wines I had tasted in Provence and it started to make sense. The wines were taking only what they could find with the root systems developed as young vines over 60 years ago. They mostly expressed the structure of their deepest, stark-white chalky limestone soils, and not much more. 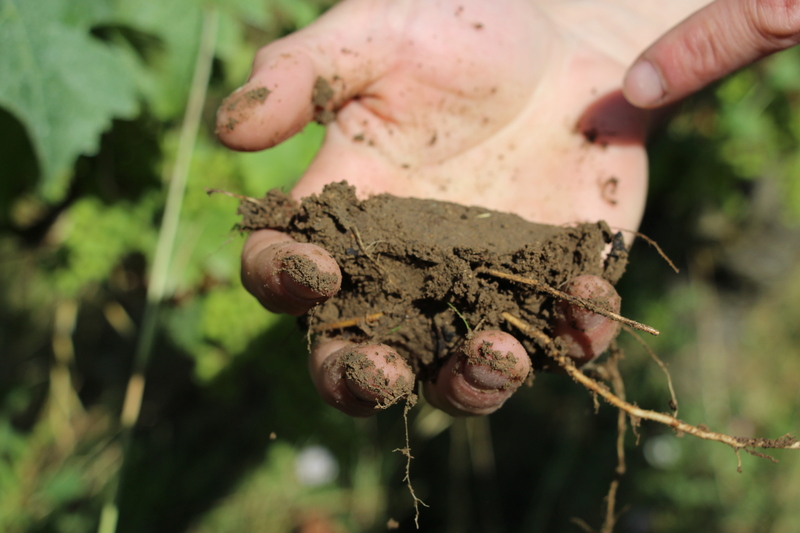 The soil on top – mostly sand and clay – which usually feeds the wine with body, breadth and generosity had little to give. They were on a fast-food diet, yet, somehow, the terroir still fought through. As I walked between rows, looking at the damage, I began to recollect the staggering power my mouth felt a week before in Provence. I realized that what I had tasted were skeletons of what the wines used to be. The vineyards seemed like they were on their way out as many vines were missing and the remaining survivors were fighting a tough fight. I had only tasted their skin and bones –but what powerful skin and bones they were. I looked at Arnaud with disbelief and disappointment. A smile began to grow on his face. He looked at me and declared with a contemptuous tone: “Now, with the children out of the way, we’ll see how great this hill is back in the hands of men.” That moment will stay with me forever and writing down Arnaud’s exact words sends a chill through my body. Hearing stories about the former glory of Brézé was exciting. Arnaud explained that he had signed a 20-year lease on the vineyards. He let a few more kittens out of the bag when he told me that this historic wine hill was once considered one of the greatest wine producing communes in the entire north of France, and one of the two best of the Loire Valley –the other being Savennieres. He added that there were only three other producers bottling estate wines from the hill: Clos Rougeard, Domaine du Collier and France’s newest darling, Romain Guiberteau. Arnaud is originally from Normandy, so these guys had to fill him in on the legend of Brézé. He told me that there are records at the Chateau de Brézé of the historical affairs of the hill which likely give insights on the production of its wines throughout the centuries. Arnaud and others have asked to see them, but the owner of the Chateau dismissed their request, likely out of spite for Arnaud’s growing success with the vineyards that their incompetence let go to pasture. The history is there, but he won’t let anyone have a look at it. To add to this incredible story, Arnaud told me that the rest of the farmers who own quality parcels on the hill sell their grapes to the local co-op because they have no reason, let alone means, to produce commercial wines. What goes on with this hill is unbelievable and Arnaud, at times, he had to stop his account to laugh with me about how absurd it all was. Brézé had been neglected for so long that even the locals, who own a piece of this unique place, throw their grapes into a collective wine that is probably sold down the street at Super U for three euros. What is this madness?! Don’t they know what they have? Clearly, they don’t. The good news, however, that the story of this once glorious hill now rests in the capable hands of a man determined to resurrect this hill of historical vineyards. Once the Chateau de Brézé rises again, so will the rest of the hill. A thermal image of the hill. The dark pink rectangle (pink areas represent warmer areas on this frigid hill) towards the bottom is the Clos de la Rue, one of the greatest sites on the hill. After we finished our tour of some of the clos, we went back for a taste. At this point, I was chomping at the bit to get some of these wines back in my mouth. As soon as we got there, we tasted the St. Just wines, which I was already set on importing. Then we started the Brézé bottlings. On my first smell and taste, I better understood the electrical current that flowed through my mouth. All that these unstoppable terroirs had to give once again began screaming in my face, calling attention their glorious past. After 65 years of punishment and neglect, the wines made in these suppressed vineyards still shined. I was all in. Not surprisingly, on my last year on my visit to Brézé, Arnaud had more things up his sleeve. He told me that the fruit for both of the “entry-level” cuvées, that were simply labeled “Saumur,” come from individual historical clos, the Clos du Midi for the white, and the Clos Mazurique for the red. You’ve got to be kidding me! He finally decided to reveal this to me on my third year of selling the wines?! I almost flipped out at him. I was beside myself that he didn’t put the name of the clos on the label! Here, we are talking about this hill and it’s glorious collection of clos, and he’s got this cheap entry-level wine made from a historical site with historical pedigree that he puts into a generic bottling?! I was flabbergasted. “Arnaud, what else are you not telling me?” I demanded. I felt like a death row lawyer dealing with a man who was keeping secrets that could exonerate him. He explained that he had just acquired over 20 hectares of land that he did not have a market for. He had to choose which vineyards to put in the most energy and money. He simply chose to use the two largest crus as the entry-level wines. Crazy… Don’t get used to the cheap prices, they won’t last. I promise you. In 2009, Arnaud and his father Yves signed a deal with the Comte de Colbert for the rights to the vineyards of the Chateau de Brézé. They knew what was needed to nurse the vines back to health. The first trip to the vineyards with Arnaud felt like the sad beginning of an epic movie in which our hero would inevitably triumph as he humbly stood upon the hill after reinstating her glory. Since the day they gained control, they started the process of converting to organic farming with the idea to eventually move into a biodynamic practice. When I asked why he didn’t go straight to biodynamics, he explained that moving the vines into a real biodynamic culture within three years was simply impossible. He pointed out that because the topsoils of all the vineyards were desolate and void of almost all microbial life, making such a bold move at an early stage wasn’t the right way. He further explained that he didn’t want to fabricate the soils by introducing a bunch of foreign microbes to supercharge the healing process. He believes in the terroir and feels that nature needs to find her way again into the vineyards. He estimated that, in ten years, he would be able to assert with confidence that his vineyards were performing at the level of a healthy biodynamic environment. Last year, six years after they started farming organically, he expected to finally see some natural grass growing again. Each time Arnaud tells me something disturbing like that, he looks at me out of the side of his eyes, with a smirk, and his head pointed down as though he felt responsible for what took place before him. Indeed, what happened here is embarrassing; sadly, it’s not uncommon. What makes it especially disheartening, in this case, is the negligence with vineyards that possesses such a rich history. Last year, I had dinner with Romain Guiberteau and Arnaud Lambert, both of whom I import to California. We went down to Arnaud’s cave, below his house, to taste his 2012 single-vineyard wines from both hills. After four years of organic farming, the whites were simply off the charts. After we tasted, Romain needed a smoke, so he and I went outside and started to chat while Arnaud stayed in the cave to organize a few more wines to taste. Romain took a long draw of his cigarette and leaned into me as though he was going to tell me a secret. He quietly said in French: “Yes, I have ONE (Clos des Carmes) of the greatest vineyards on the hill… He has the other EIGHT…” He stared at me as he pointed his finger towards the cellar where Arnaud was and continued: “He’s a great winemaker and he’s just getting started. My vineyards have been in organic culture already for over ten years and he’s just converting them now. Just wait, he’s the one to watch. He has them all…” Hearing this confession from one of the hottest young vignerons in France was unreal. It was a wonderful insight into the character of Romain Guiberteau. 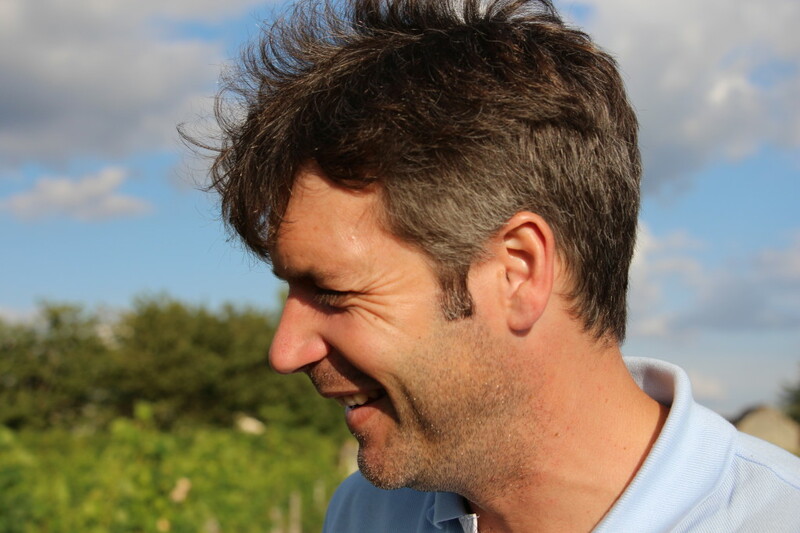 He’s a selfless, passionate man interested in the success of his friend Arnaud, as are the other vignerons on the hill, Antoine Foucoult and his father and uncle from the Clos Rougeard. I haven’t met anyone from the Foucoult family, but Arnaud told me that he feels like they are all in it together with him; like a band of brothers. It’s impressive. 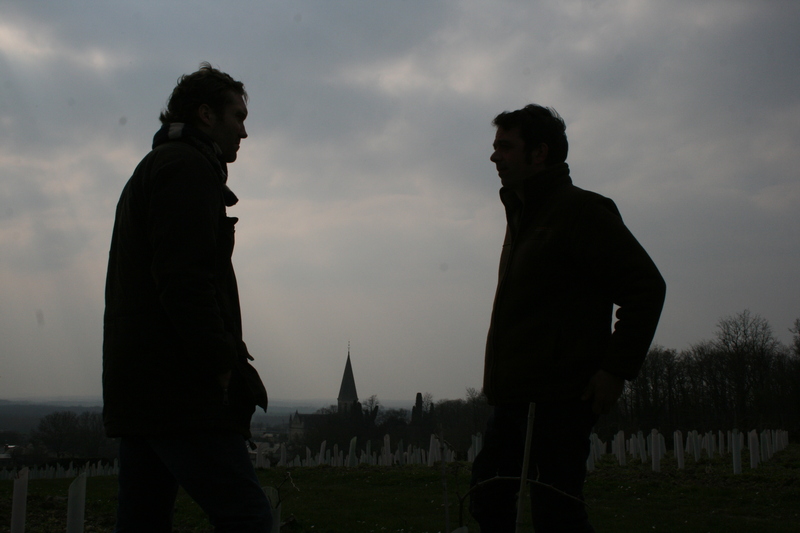 C’est moi et Romain Guiberteau discussing Brézé and the great crus on the hill. Two weeks ago, I was in Saumur to pay another visit to Arnaud and Romain. We further discussed the nature of the wines produced on this hill and my purchase of the 2010 basic Saumur white and red from Chateau de Brézé a few years ago. I revealed to them that I only started to find success with the Brézé wines at the start of 2013 and that I hardly sold a single case the first 18 months as they sat in my warehouse. I was a little afraid to show the wines at first because they were taut for so long, but when we unleashed Guiberteau into the California market last year, it helped prime the market’s palate for the wines of Chateau de Brézé. The wines from Romain shocked (literally) everyone and, by that time, the Brézé wines finally relaxed and started to put their cards on the table. They were a perfect follow after Guiberteau floored the market and were welcomed with the same enthusiasm. That night, we all agreed that the wines from Brézé need much more time in the bottle before being sold. That’s why Romain already sells his high-end cuvées three or four years after the vintage date. The next morning, I could see anguish on Arnaud’s face. He told me that, because of our conversation last night, he decided that he was going to ask the bank for more money in order to make the wines age longer before releasing them. It’s this kind of stuff that makes Arnaud special. He never ceases to impress me as his commitment to the success of this hill is inspiring. Two weeks ago – almost four years after my first visit – Arnaud and I walked the vineyards again. I wanted to spend more time in the vineyards to get a better understanding of each clos. As we walked through, the vineyards were showing signs of new life. We reminisced what has happened over the last years that led up to this point. As we bent over to admire new life emerging after a lifetime of abuse, we smiled and grabbed piles of dirt and rock from each sight to inspect its renewing quality. Arnaud’s fist full of dirt. The natural grasses were popping and the life of the soil was being nursed back to health. The vineyards are changing, so is Arnaud. He is a different man than when I met him four years ago. Since then, he’s had a rough patch with the tragic early passing of his wife and his father just a year after my first visit with him. It’s a hard story to hear from such a wonderful guy. As we carried on, I realized that the dark cloud, cast over Brézé and Arnaud, is lifting more and more with the passing of each year. Four years ago, I stood with Arnaud at the Clos du Chateau vineyard on the very top of the hill without realizing that this place would become one of my most unexpected love affairs with wine. It’s heartwarming to see that the other great producers from the hill, rather than competing with Arnaud, act as his strongest supporting cast. They all know of this almost forgotten history that has been silenced for decades inside this mysterious hill. They are all anxiously waiting to see what Arnaud unearths as he nurses her back to health. There is something stirring on this little hill, and soon, the wine world will remember her name. She is Brézé, the greatest forgotten hill. 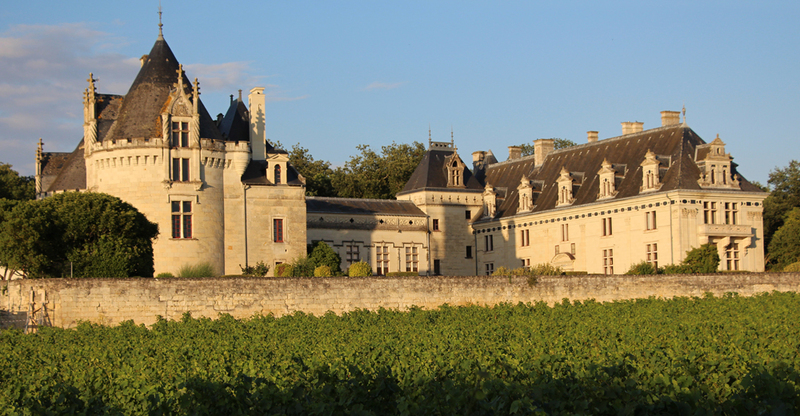 This entry was posted in Loire Valley on July 30, 2014 by Ted Vance.